PhpStorm 2018.2.2 build 182.4129.45 is now available! You can download it here or in JetBrains Toolbox App. If you have installed the previous PhpStorm 2018.2 or PhpStorm 2018.2.2 EAP build (182.4129.18), please invoke the Check for updates action to receive the latest update. PhpStorm continues to simplify usage of PHP_CodeSniffer and Mess Detector. Now, if you have phpcs.xml or phpmd.xml config files in the root of your project, they will be automatically detected and grasped by the PhpStorm. 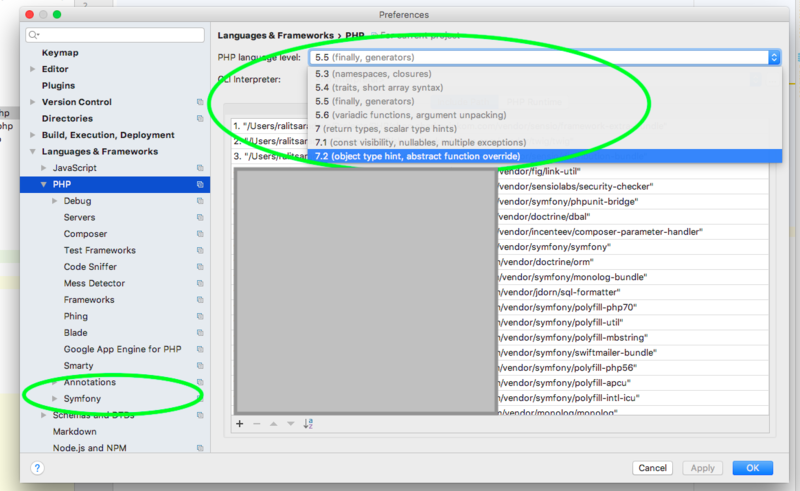 The IDE now also detects custom rules/rulesets for PHPMD specified in composer.json. Download PhpStorm 2018.2.2 build 182.4129.45 or click “Update” in your JetBrains Toolbox App and please do report any bugs and feature request to our Issue Tracker. This entry was posted in Newsletter, Release Announcements. Bookmark the permalink. already voted, looong ago. this issue has more votes, than all clickhouse-related issues combined, but still, clickhouse goes first. Thanks for bringing this up. When taking features into development, we consider several factors including user votes, our internal research results, complexity vs. value ratio, and some others. I.e., having more votes does not guarantee that the feature will be implemented faster than the other one, but it affects the priority a lot! But PHPStorm still report PSR2. Any step I miss? Yeah, doesn’t work for me either, I still need to enable it as a custom ruleset manually for it to work. Could you please attach your .xml file at https://youtrack.jetbrains.com/issue/WI-42670? I just download the new version and I get a file in a folder with this extension “___jb_old___”, and I cant remove it, the original file is not saving correctly because this file. What OS do you use? Is it not possible to remove that folder even when PhpStorm is closed? Please try to do that with elevated permissions (sudo or Run as Administrator). I remove the program and all settings, install again. Work! I have some trouble after upgrading to 2018.2.2 build 182.4129.45. I’m working mostly on Symfony projects and after upgrading for some reason Symfony disappeared from Languages & Frameworks and thus the Symfony plugin is not working. 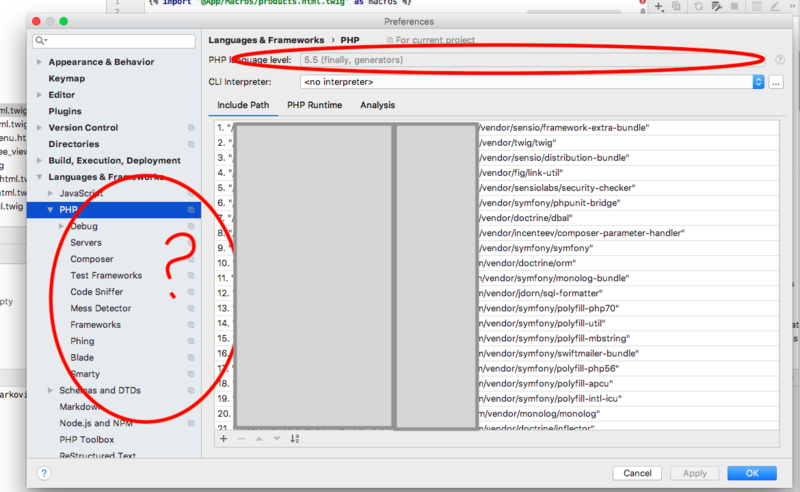 Also in Languages & Plugins the PHP version is frozen to 5.5, which is not the one I use. Can you give me any advise how to get back the higher PHP version and the Symfony plugin? The language level is now bound to the PHP version requirement in composer.json. Please consider changing it to something appropriate, or, you can disable settings sync at Languages & Frameworks | PHP | Composer. Is the Symfony plugin still there in Settings | Plugins? Thanks for your response. I didn’t know that it’s now bound to the version in Composer, and mine was outdated. Anyway, the Symfony plugin was still there, enabled, but I couldn’t bind it to any projects, because Symfony was missing from Languages & Frameworks. Is there something else moved, that I missed? After several re-installations and restart it all up and running again. Thanks for your advices!